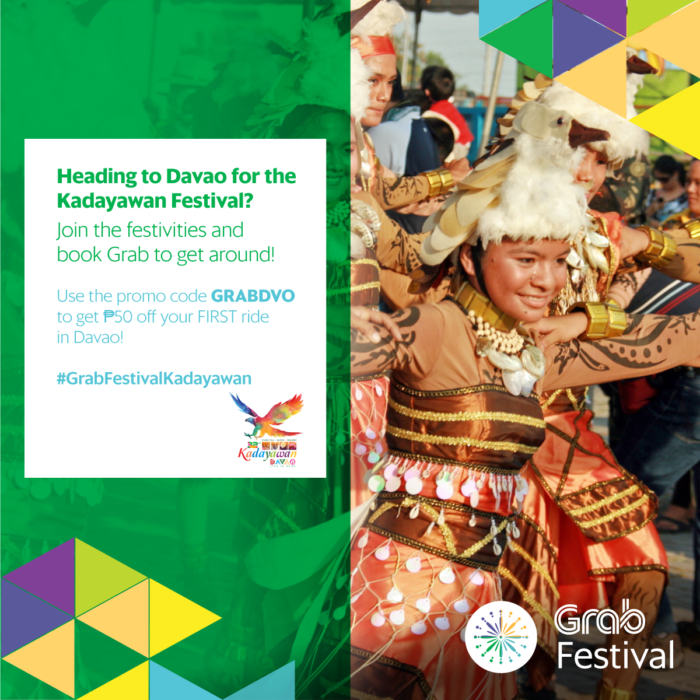 Discover the Best of Davao This Kadayawan 2018 with Grab! Happy 33rd Kadayawan Festival, Dabawenyos! 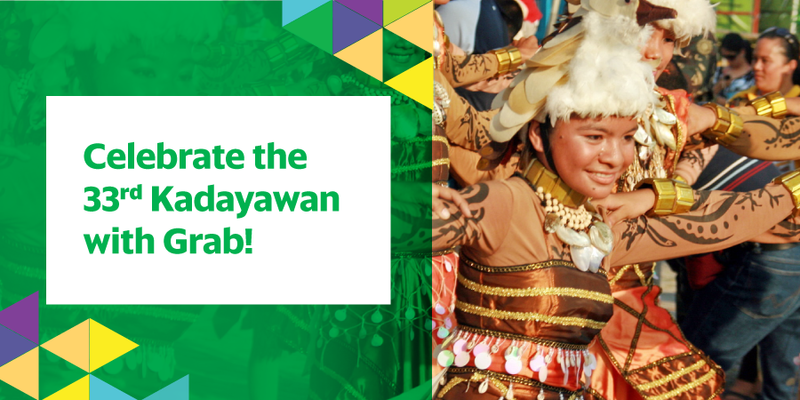 This week is a perfect opportunity to roam the streets of Davao with Grab and enjoy the city’s bountiful harvest and celebrate the richness of its culture. So what did we have in store for you this week? Use promo code GRABDVO and get Php50 off the metered fare for your first GrabTaxi ride in Davao City from August 13 – 19, 2018. Visit our local partners and get a Php33 off your fare to and from the location, just use promo code KADAYAWAN. Valid from August 13 – 19, 2018. Drop by and order their Must Tries for a full-on immersion of what Davao’s local restos have to offer. 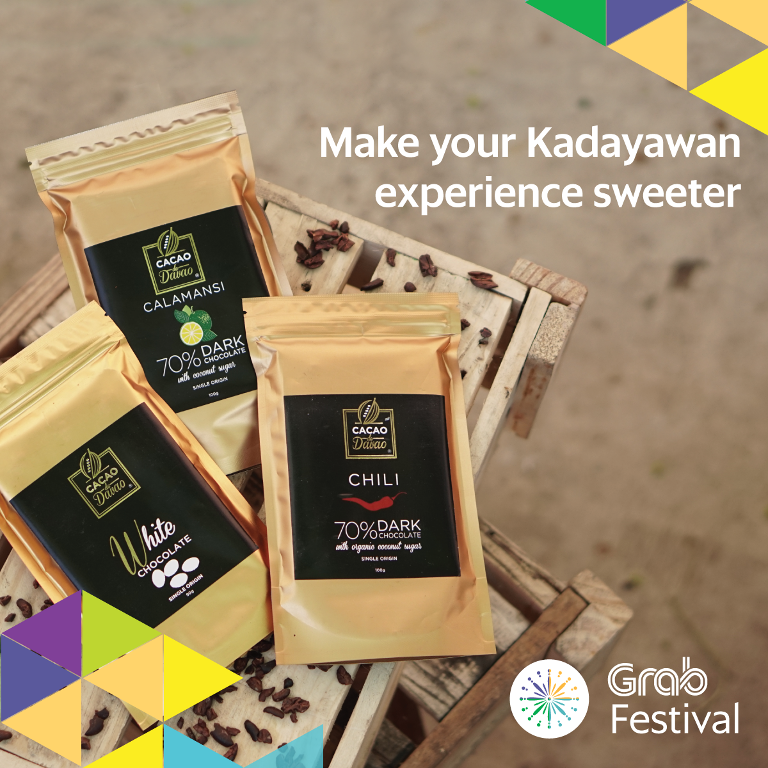 Make your Kadayawan experience sweeter with #GrabChocolate. ? Visit out local partners for a chance to get a #GrabChocolate ? voucher! Grab is all about making every celebration and festival memorable. We are all about taking people places and giving them the opportunity to have fun, rediscover their roots and experience the best there is in every city we are in without the worry and the hassle. Come and Celebrate with Us! Keep on Grabbing!